What happens when you take the wicked, stripped-down styling cues of our Fury chopper and throw in a large dose of pro-street dragster? Well, you’re looking at it: the all-new Honda Sabre. And trust us, the whole is greater than the sum of its parts. 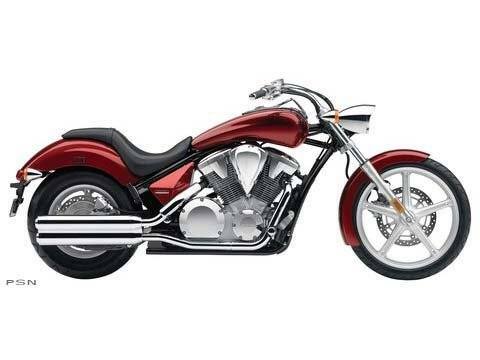 Start with the beefy, Fury-derived 1,312 cubic centimeter liquid-cooled, 52-degree V-twin, featuring Programmed Fuel Injection (PGM-FI) and performance as muscular as it is seamless. Smooth, maintenance-free shaft final drive merely makes it that much better. And then, of course, there’s the look—short, sporty fenders, all-black frame, and a raked-out fork that screams, "You want some of this?" Make room, Main Street. The all-new Honda Sabre is here.